Will this do for a profile….? Amis and Levi were talking about having a Facebook Page today. I told them that they would need to have a good profile to include. I think that they took me a little too literally…..!! 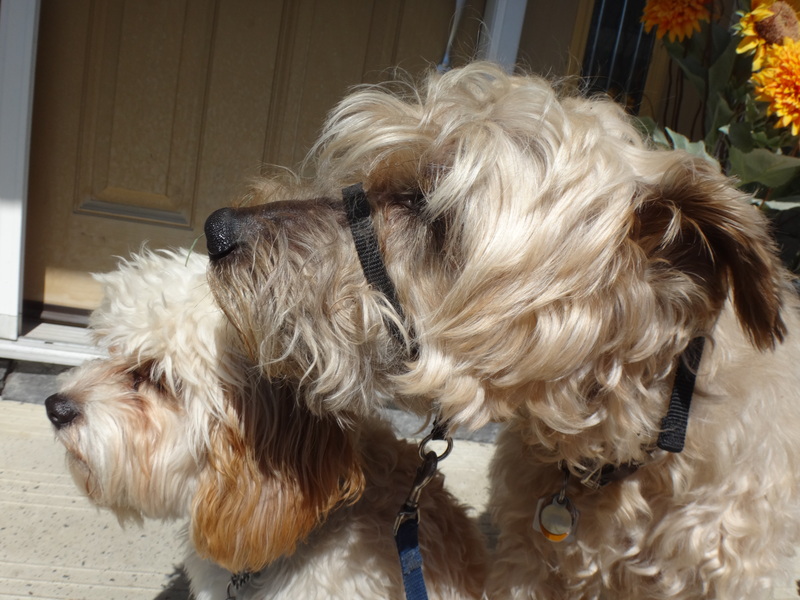 This entry was posted in Dogs, Life and tagged Amis, Cavapoo, Dog profile, Facebook Profile, Levi, Wheaten Terrier. Bookmark the permalink.